This poker aficionado was born in Toronto, Ontario, in 1974. He was inducted into the Poker Hall of Fame in 2014. His path to poker stardom was paved with uncertainty. He quit school a credit short, and decided to play full-time poker with people twice his age. He excelled at his craft, boosted his bankroll in double-quick time, and then headed to Las Vegas, Nevada. 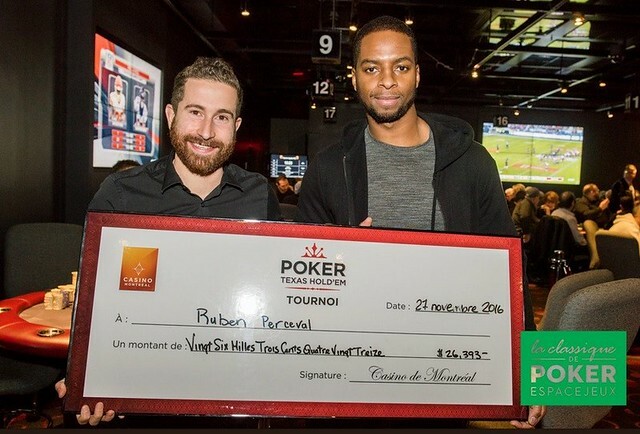 After a lackluster showing in Vegas, he returned to Toronto and rebuilt his poker bankroll. After perfecting his strategy, and fine-tuning his poker online game, this poker ace returned to Las Vegas and by 1997 was crowned the Best All Round Poker Player at the Foxwoods World Poker Final. In 2004, he competed at 11 final tables, with 2 victories at the WPT (World Poker Tour), and a third poker bracelet at the WSOP (World Series of Poker). He has won multiple bracelets over the years and is ranked the #1 all-time money list Canadian player with total live earnings of $34,093,588, and a best live cash win of $8,288,001. Here is a poker player with plenty of zing in his game. He was born in Boucherville, Québec in 1987. His forte is live poker, and he came to prominence at the Final Table of the World Series of Poker (WSOP) in 2010. There he scooped up a massive first prize of $8.9. Million. He is second on the Canadian all-time money list, with total live earnings of $17,772,514 and a best live cash of $8,944,310. This Canadian poker star regularly competes in No Limit Holdem contests and places strongly. His last major cash was for $72,876 in the $10,000.00 7 Card Stud Hi-Lo Championship event #48 on 24 June 2017. Poker is a game of skill, wit and strategy. Before you get started at the hottest poker venues in Toronto, it’s important to learn how to play poker. 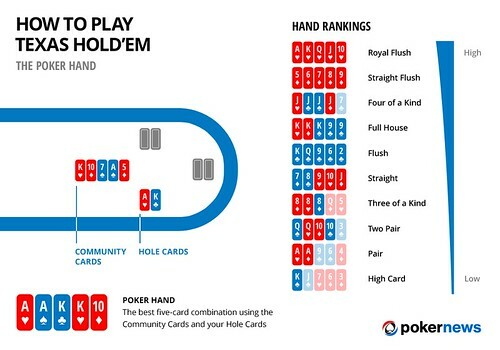 This 5-card draw game allows players to form the best-value hand starting with a High Card as the lowest-ranked hand, and a Royal Flush as the crème de la crème. Once you’ve got your hand rankings down, you can go about compiling the best hand given your pocket cards, The Flop, Turn and the River. 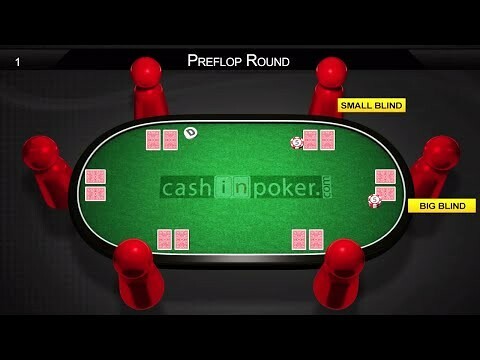 This interactive poker video explains the rules of the game in an easy-to-understand format. Getting started with a game of poker requires 2 players to place mandatory bets. These are the Big Blind and the Small Blind. These forced bets move around the table so that all players get to place these wagers. This makes poker a fair game. The hand begins once the blinds have posted. Each player at the table will be dealt 2 cards, one at a time, face down. Players are then tasked with an important decision: Do you stay in the hand? Or do you fold? Once the Big Blind has posted, a round of betting begins. This position is known as ‘under the gun’ since the Big Blind must act first. If you wish to stay in the hand, you call the Big Blind (match the bet), or you can increase the stakes by raising. The most common decision that experienced poker players make is to fold if they don’t have a premium poker hand. Your 2 hole cards determine whether you should call, raise or fold. A weak starting hand is typically not worth playing unless you can outsmart other players at the table. As soon as all players have acted (made their decisions) the first 3 community cards will be dealt. These are the Flop. An additional round of betting ensues, and players will again have the opportunity to check, raise or fold. If other players choose not to match the raised bet, the bettor will win the round. Once all players have acted, the fourth community card is dealt, known as The Turn. It is a single card, and can be used by all players at the table to form the best 5-card hand. If players decide to check on The Turn without any raises, the fifth and final community card will be drawn – the River. A final round of betting takes place after The River. These rules are the same in online poker games too. After this round of betting, a showdown may take place if 2 poker players remain in the hand. The winner is the player with the best 5-card hand. Of course, there are many unique games of poker available to players, including Omaha Hi-lo, 7 Card Stud, Texas Holdem, in fixed limit, pot limit, and no limit variants. The Canadian poker scene is bubbling over with excitement. Toronto is one of the hottest destinations for poker players. Ontario casino poker rooms include Casino Niagara where players can enjoy Omaha Hi-Lo at 12 poker tables, Texas Holdem in limit and no limit games, and Daily Poker Cash Games. Another popular hotspot is Casino Rama. This features 12 poker tables and it runs 24/7. Players get to enjoy limit and no limit games of Texas Holdem poker. The online poker scene is equally popular among Toronto poker players. Poker online games offer added comfort, convenience and excitement for players, since these poker rooms are available from the comforts of home, or on the go. Plus, players get to buy in at affordable wagers, and they can raise the stakes as they see fit.